We are flying across 32°34'06"N, 143°46'01"W at 34,000 feet over the Pacific, and we've just crossed the equal-time point between Seattle and Honolulu. I take a look at my Rolex and note the time. For a pilot to know the equal-time point between two pieces of land is crucial. If there's an emergency, the closest runway in distance is not always the closest runway in time; it is based on the direction and strength of the winds over the ocean that day. That's why the equal-time point between Seattle and Honolulu varies every day as winds vary. Today our ETP is 32°34'06"N, 143°46'01"W. At this exact point, we are at two hours and fifty-eight minutes from either Hawaii or the continental U.S. Once passed that point, going West, if there's an emergency we are committed to land in Hawaii because it is faster. 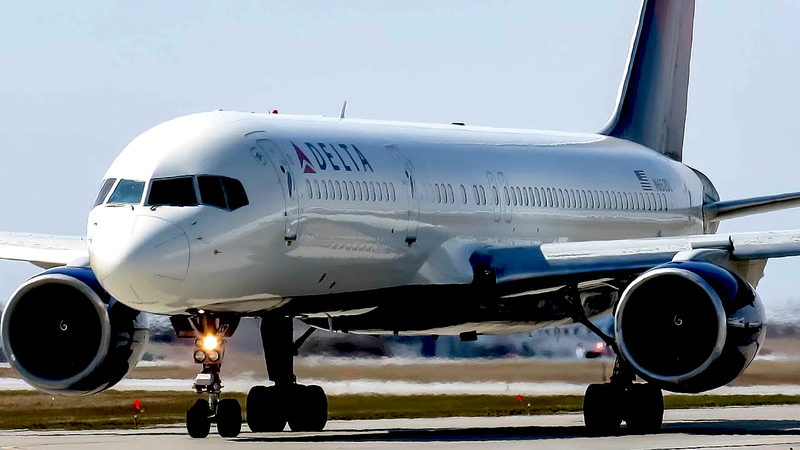 The FAA allows our Boeing 757 to be over water for up to three hours from any runway, which is plenty far if an emergency strikes. So at two hours and fifty-eight minutes, we are butting against that limit. 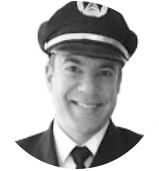 If you think two minutes is no big deal on a six-hour-and-twenty-minute flight, it is for me. And it can make the difference between having to cancel a flight and reaching my hotel layover near Waikiki Beach. The other challenge of being a transoceanic pilot is the lack of radar coverage over the ocean. No radar coverage means there's nobody sitting in front of a scope who can provide spacing between aircraft. Instead, we have to report the exact time at which we pass certain geographical points defined by latitudes and longitudes. We communicate that to a radioman in San Francisco, and he plots our location. So my job requires me to rely on accurate time as if my life depended on it—because it does. It is the only way we assure safe separation between airliners, all rushing at 500 knots to one of the most popular vacation spots in the world. When I click on the hand-microphone and begin to broadcast, I'm required to include the estimated time when my Boeing 757 will cross the next longitude. If I am off by more than two minutes, I have committed "gross navigational error," according to the FAA. 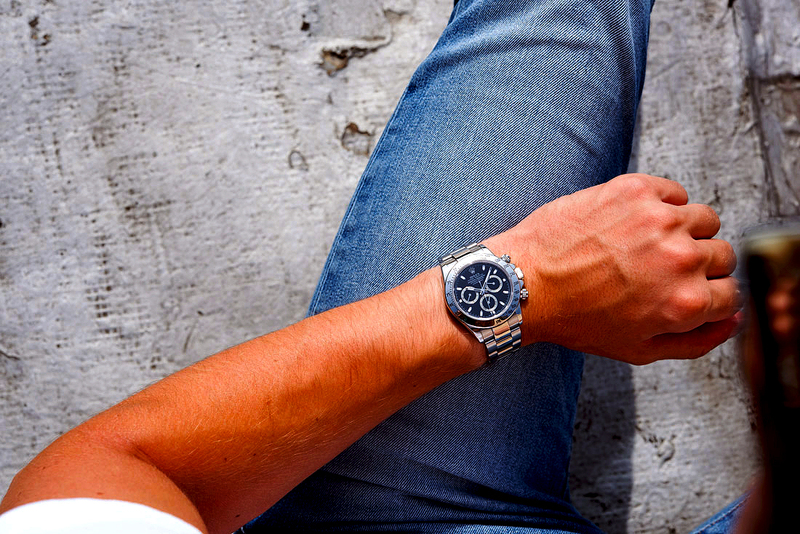 I immediately start the chronograph of my Rolex Daytona as we are rushing to the next longitude at 80 percent of the speed of sound across the largest ocean in the world. 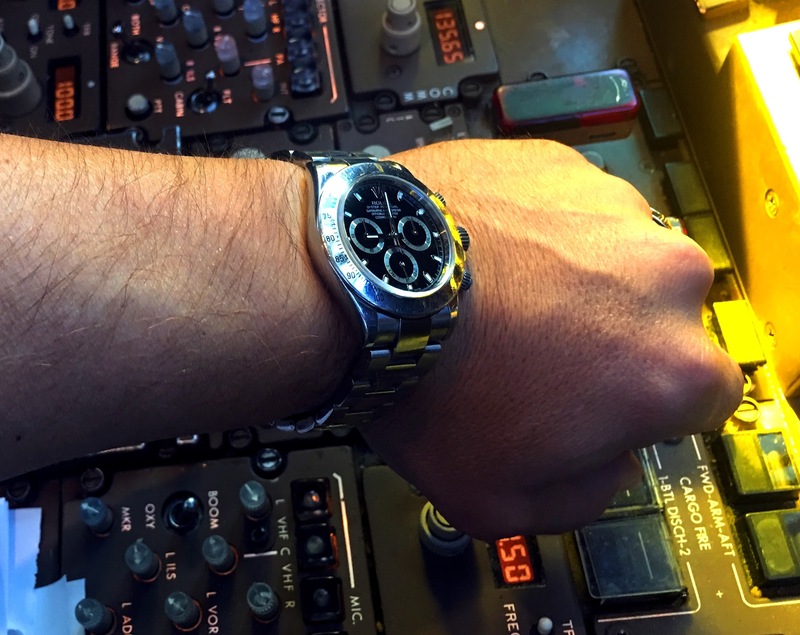 One of the big myths about pilots and their watches is that we're obsessed with GMT hands and multiple time zones. In reality, our job is all about timing events to make sure the flight is conducted safely and within the limitation of the aircraft. Time is so crucial that the FAA doesn't allow an airplane to takeoff if it doesn't have a working clock onboard. We worry about the local time zone later. 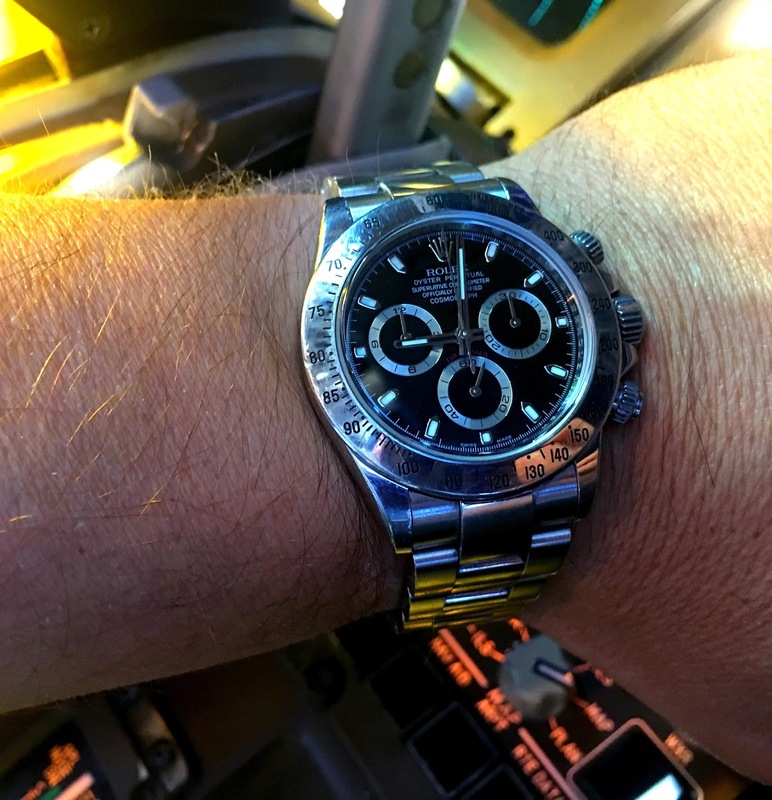 After we land and once comfortably seated in the crew van, I'll pull the crown of my Daytona and coordinate dinner plans with the rest of the crew. Timing begins at pushback, when I start the first jet engine. The start sequence of the multi-million-dollar Pratt & Whitney turbofan of the Boeing 757 has to be precisely measured. 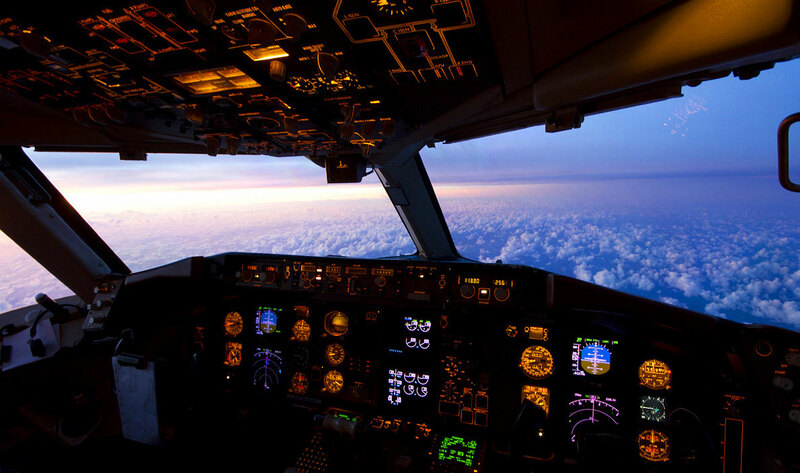 The time starts when I turn on the engine start selector on the overhead panel. And with a switch on the center pedestal, I open the engine fuel valve when the second stage compressor has reached its maximum motoring speed. As the chrono hand sweeps onward, I note the time to make sure the engine doesn't "hang," meaning, combustion has occurred and the exhaust gas temperature rises within 20 seconds. If it doesn't, I'll abort the start sequence, and start the chrono again: I have to let the engine cool for no fewer than thirty seconds per each minute it ran. If times are not precisely observed, extensive damage can be done to the starter. 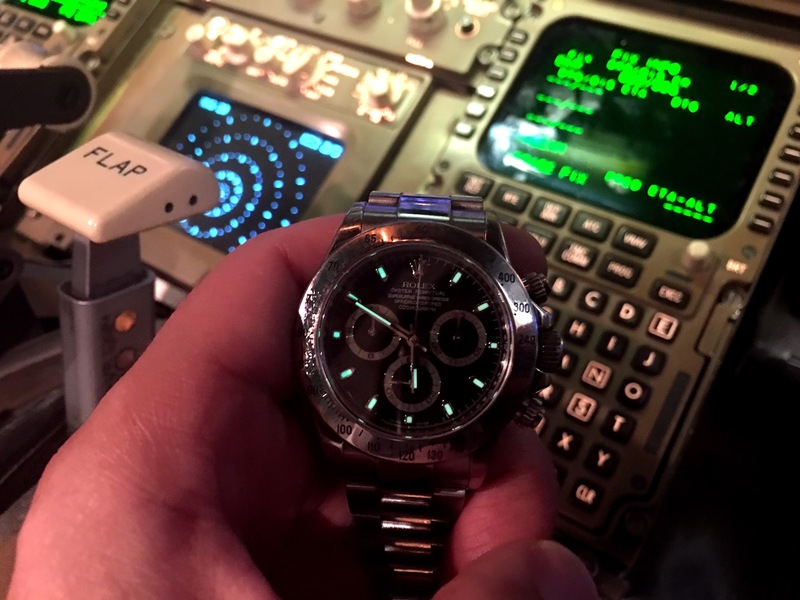 At cruise, I hack my Rolex Daytona even on flights in controlled airspace: If Chicago Center promises they will clear us to a direct route in five minutes; or if a colleague in a jet ahead warns us of turbulence that will last 15 minutes, I need to track the time. We track the time because in flight we suffer from temporal distortion; meaning, our idea of time is very unreliable. Ask a teenager to estimate how long he played video games today, and his answer will be off. Anyone who has ever tried to cook while checking Instagram or Facebook knows about temporal distortion. It's no different when you're sitting in front of dozens of instruments, dials and gauges and need to manage the energy of a 240,000-pound aircraft full of people. Film director Robert Zemeckis did a good job portraying temporal distortion in his 2012 movie "Flight." The scene [warning, spoiler ahead] goes into slow motion as both pilots exchange looks after clipping a church steeple with their doomed jet. In an emergency, the brain works so fast that time seems to be slowing down. When NTSB investigators ask pilots to estimate the time sequence after an emergency—how long it took to complete an evacuation, for example—they're usually off, thinking it took much longer than it actually did. Timing for me is everything. 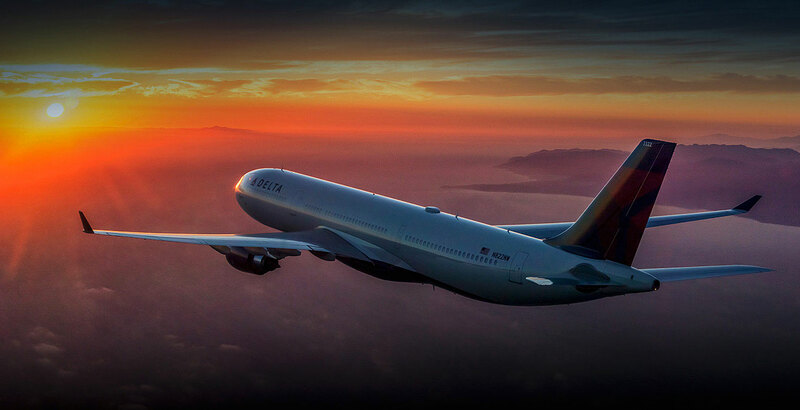 All crewmembers live by the clock because our report time changes every workday with each flight. Even for flight attendants, wearing a watch is a required part of their uniforms. The entire preflight sequence—from crew briefings to safety checks, checklists and ATC pre-departure clearance—is based on a scheduled push-back time. For the U.S. Department of Transportation, a flight can't be counted on time, if it doesn't arrive within 14 minutes of its scheduled arrival time. But after all passengers have deplaned, pilots and flight attendants will rush to the crew van, which will take us to our layover hotel. For this 24-hour layover in Honolulu, we'll even put our feet in the sand (and a beer in our hands) and watch the sunset over the Pacific. Then time will really have slowed down.